New Year’s Eve is just days away and being that Times Square has been declared one of the worst places to bring in the New Year, it might be worth considering some alternatives. Granted, almost everywhere that is free and hosting a NYE event will likely be crowded but if your willing to head outdoors and face the blistering cold to witness a nice fireworks display, here’s a few options worth considering. The 5th Annual New Year’s Eve Celebration in Coney Island will feature live entertainment, karaoke, free carousel rides, and fireworks by the water at midnight. 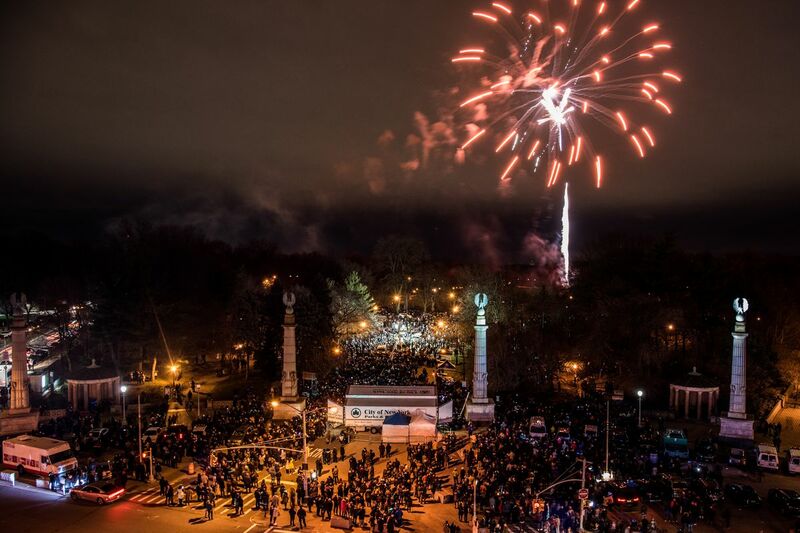 The festivities kick off at 9 p.m.
Grand Army Plaza will come alive with live music starting around 10:30 p.m. on New Year’s Eve. Midnight fireworks will be launched from Long Meadow and Brooklyn Borough President Eric Adams will be among the notable guests. Bring in the New Year in a health-conscious way by taking part in the Midnight Run hosted by New York Road Runners (NYRR) in Central Park. Festivities start at 10 p.m. and the four-mile run begins at the stroke of midnight as fireworks light up the sky. Learn a little bit of history about the Brooklyn Bridge as you walk into the New Year with a guided tour led by a historian. Of course, there will be a moment to pause and gaze across the water and Manhattan skyline for fireworks.